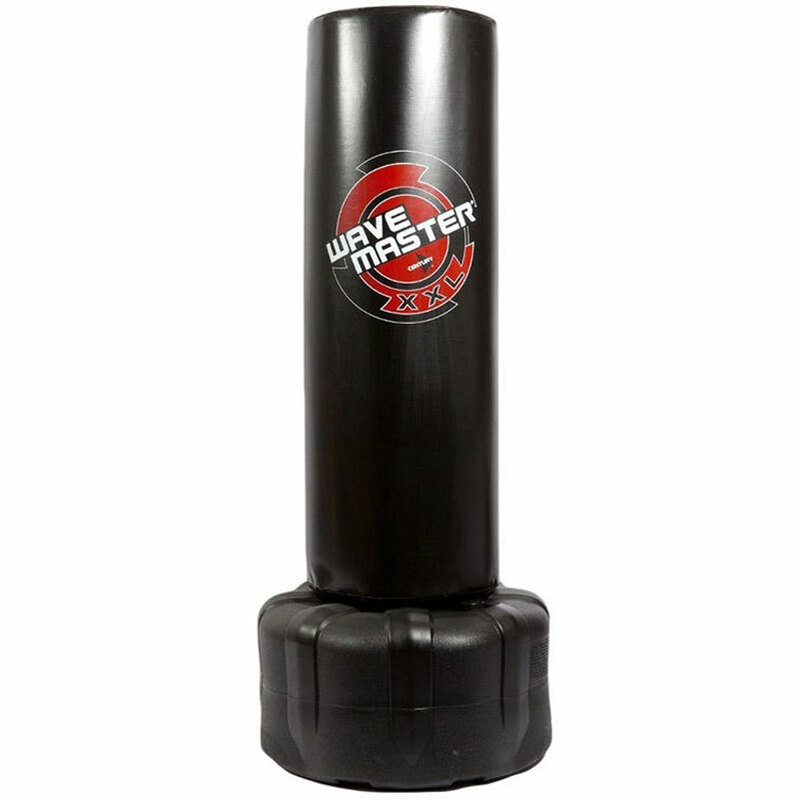 The Century ® Wavemaster 2XL Punch Bag. We are excited to introduce one of Century's most technologically advanced products for martial art studios, fitness gyms, and home training. Century have spent countless hours working with a group of hard hitting martial artists to perfect every component of this new training bag. This bag was designed for commercial grade use to stand up to consistent, heavy strikes from hard hitting martial artists. High density foam padding for maximum impact absorption. Tapered base features an ergonomic design allowing for an unimpeded stance for athletes of all sizes. Rubber sealed fill cap keeps water where it belongs, but is easy to access to top off the weight. Innovative new locking mechanism securely locks the bag to the base allowing for the hardest strikes, day in and day out. Bag - 18" Diameter x 52" Tall. Total Height - 67" Tall. Firstly the service from Newitts was outstanding, ordered this bag when my old one expired on 18th Feb 2019 and received this one by midday 19th Feb 2019. The bag looks good and was easy to assemble. The only gripe I would have is that the filling hole is way too small if filling with sand and a much bigger hole could easily be put on the outer circumference to make filling a lot easier but I'm not knocking a star off because of the fantastic service I received from Newitts. It was the cheapest price I could find on the internet too. A great addition to Ironwerx Gym here in Barrow in Furness. Great service from Newitts and a fantastic product. Great Punchbag. It is suitable for heavy training! Fill the base with sand and its very steady.